The latest innovation in the field of 3D printed structures came in the form of a 32-ft-long reinforced concrete footbridge. 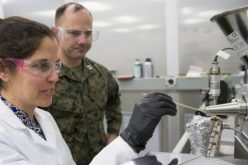 The bridge, built at the US Army Camp Pendelton in Southern California, was developed by a team of researchers working at the US Army Engineer Research and Development Center (ERDC). Although the torrential rains made it pretty complicated at the beginning, the team, led by Megan Kreiger, successfully printed the bridge in about one week. The footbridge pilot project came on the heels of a successful research project—the first full-scale 3D-printed reinforced concrete building in the U.S. engineered for permitting. The success of the two projects is pushing the research team to dream bigger. 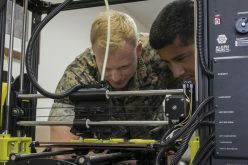 “It would be phenomenal if we could make a bridge that could support a tank,” said Kreiger, who aims to 3D print a modern-day version of a Bailey bridge. Kreiger sees huge implications for the limited labor required to create custom concrete structures without formwork. And 3D printing makes concrete work less physically taxing, she adds. She joined the U.S. Army Engineer Research and Development Center as a mechanical engineer in February 2015. The ERDC is already considering the use of 3D concrete printers as a means to help people in areas that were affected by natural catastrophes. Considering how easy it is to access to concrete compared to wood, the printers could constitute the best way to replace destroyed buildings such as houses and schools.